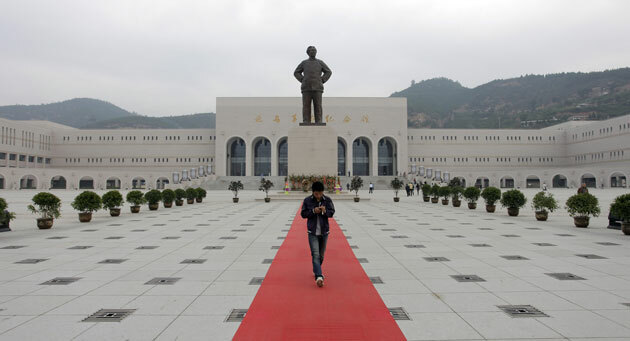 The “Red Tourism” is booming in China. If the number of Chinese tourists is increasing in the world, it also increases within China’s borders. And more and more of them are attracted by an original form of tourism, born in the mid-1980s: The “red tourism”! But what is the “Red Tourism”? The “Red Tourism” is a form of tourism where people visit places with a significant history which refers to the Chinese communism. Red tourism is not new in China. 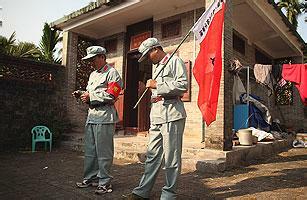 There are a lot of « red sites » all around China including Mao Zedong’s birthplace in Shaoshan for example. The major goal of this kind of tourism is to boost patriotism and make people support more and more the Chinese Communism Party. And it works actually very well as the Chinese are loving this kind of tourism and the number of people who booked this kind of visits increased. We also assist since few years at the development of red tourism tours which are becoming more and more popular among Chinese people. Sometime you can find some tours offers on Ctrip (an online travel agency). What are the famous places for “Red Tourism” in China? Ya An (雅安) is the place which attract the most tourists nowadays. Actually it is considered as the birthplace of the revolution and it’s the place where Mao has his wartime base. 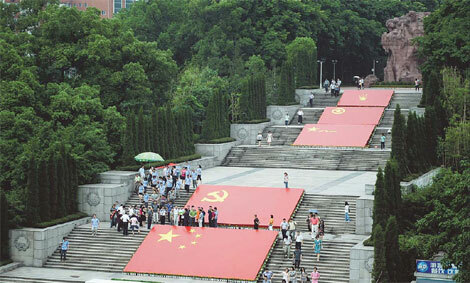 Jinggang Mountain, the place where the Red Army was founded and Zunyi where Mao was elected are also very popular. But you can find others places where you can assist at astonishing activities. A surprising show at Wuxiang, in the Shanxi province. In Wuxiang, a very well known place for “Red Tourism”, everyday, actors are playing scenes of the Sino-japonese war for tourists. And it’s pretty close to reality as they even manage to make cry some people of the audience as if they were looking at a tearjerker. As a reminder, the Sino-Japanese War was a military conflict that lasted from 1937 to 1945 and began as a result of the invasion of the eastern part of China by the Japanese Army. The Sino-Japanese conflict was particularly bloody and had major impacts on China’s history and repercussions on the country borders. Wuxiang Shanxi is becoming popular for this play and many Chinese tourists go there to admire the show. If you go there you’ll be able to see “a devil” (name given to the Japanese soldier) jump a 2 meter tall wall with his motorcycle, or a bloody crime scene between a Chinese villager and a “devil officer”. What’s funny is that the audience during some scene takes part at the show by bombarded plastic bottles and shoes at the Japanese soldiers. And this gives a fairly interactive show very popular among tourists. Everyday the actors are playing different theater plays. They have to train many hours per day because the show is very physical. In addition to the show, the tourists can dress up as soldiers, wear fake rifles and play with they friends and family. You can even hide yourself in the tranches. That’s actually very real and sets are extremely well made. As a tourist in China would you be ready to visit this kind of place? What do you think of this type of tourism? To read more article about tourism in China, click here and here. Hello tourist China, i must say you have high quality articles here. Your website can go viral, interest so many people You need initial traffic boost only. How to get it? You can contact me.